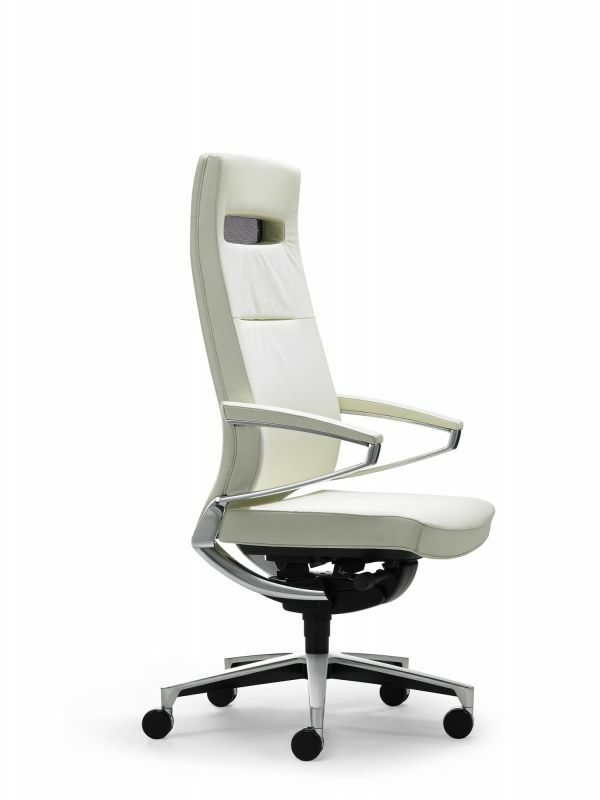 The Centeo swivel chair from Klöber will make its mark in management and executive offices. The design reflects the mixture of activity and relaxation typical of these offices: soft upholstery and firm backrests, aluminium and leather. 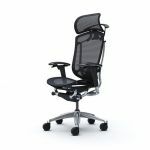 Function Swivel chair with perfectly matched procomfort-synchron-mechanik. 1:3,5 ratio between seat and backrest angle. Backrest tilt angle 28°. Point-synchronised mechanism prevents shirt-pulling effect. Optimum pelvic support throughout the body's motion sequence. Body weight adjustment 65-140 kg. Adjustment to individual body weight with patented quick-set adjustment in 11 positions, by max. 6.4 kg per position. Total travel just 120°, in other words within a single hand movement. Synchronised locking Pivot angle can be selected individually with a choice of 4 positions (0° / 12° / 20° / 28°). With a seat-backrest opening angle of 92°. Seat height adjustment 42-52 cm, safety gas-lift function with top release, with additional mechanical depth spring. Cover sleeve. Seat depth adjustment Sliding seat; seat individually adjustable by 5 cm. User-friendly controls, easy to operate, seat and arm supports are independent of each other. Seat Seat depth of 45-50 cm. 60 mm PU moulded foam cushion and 10 mm wool fleece. CFC-free foam. Density 60 kg/m³ PU moulded foam. Backrest 80 cm and 64 cm high. With 50 mm PU moulded foam cushion and 10 mm wool fleece. CFC-free foam. Density 60 kg/m³ PU moulded foam. Castors Load-dependent braked double castors, black plastic, hard castors (Ø 65 mm) for carpets. Armrests Armrests polished aluminium made of PU moulded foam, always with leather upholstery. Warranty 5 years (see terms and conditions of sale and delivery). Standards / certificates GS symbol from LGA Nuremberg / DIN EN 1335 / DIN 4551. Greenguard certification.